All iOS device users virtually use their iCloud account for storing important files such as pictures, messages, audios, eBooks, videos, documents, notes, passwords, and other media and non-media files. However, if you want to use any Apple service or iCloud account but fail to remember your iCloud account password, it would be very difficult for you to access iCloud or any Apple service. On the other hand, recovering lost iCloud password is not easy. You may end up not being able to reset your iCloud password if you initiated “Two-Factor Authentication” when setting up your account and fail to remember the details. What then is the easy and effortless ways to recover lost iCloud password? The answer to this question will be comprehensively addressed in this post, as we introduce you to the 4 best ways. What Can Be Done to Recover Lost iCloud Password? Recovering lost iCloud password can be a very hard task for anyone who bought a secondhand iPhone or iPad because he/she did not create the original account. This is also the situation those who forgot the password recovery requirements after setting up two-factor authentication. 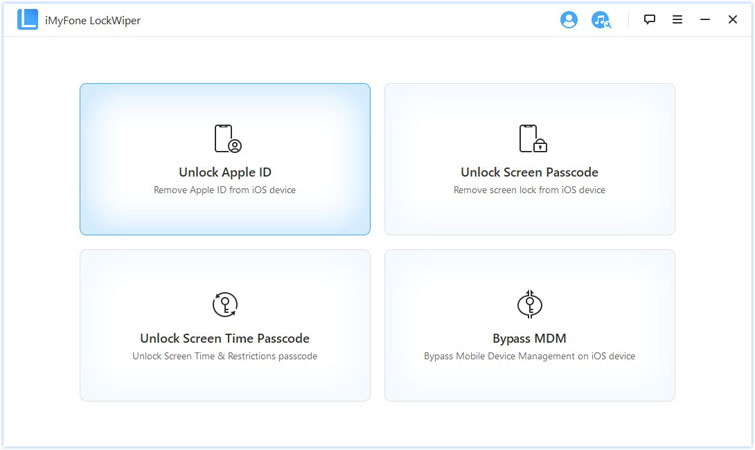 However, in all these situations, iMyFone LockWiper can be used to remove the iCloud account from your iOS device without providing the password to the iCloud account. 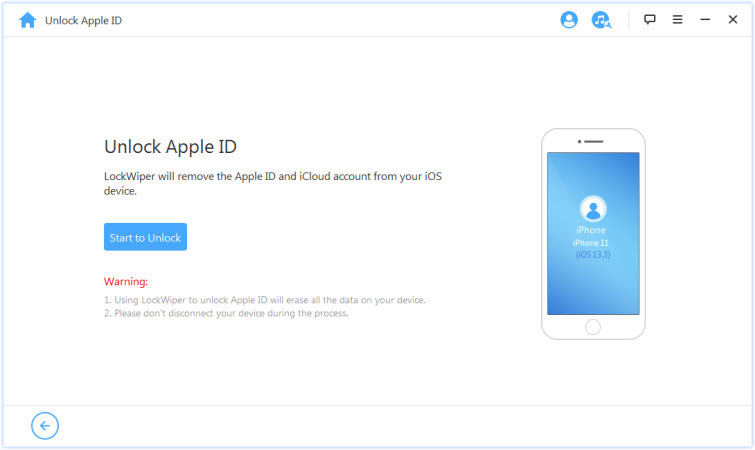 Therefore, with LockWiper, it does not matter who set the iCloud account or if you forgot the iCloud account password, all lost iCloud password can be recovered by removing the present one and creating a new one. Remove lost iCloud password in few minutes and clicks. Removes an existing iCloud account from iPhone or iPad to enable you to set up a new one. Helps you reset the iPhone to factory settings in order to make it fresh and easy to set up. Unlock iPhone or iPad screen locks, restrictions locks, and other locks. Step 1. From iMyFone Official Website, download and Install LockWiper. Then run the software and connect your iOS device to it. Step 2. Choose the “Unlock Apple ID” mode. Step 3. Click "Start to Unlock" button, it will start to help you reset iCloud account password. If Find My iPhone is turned on in your device, you’ll have to click “Settings > General > Reset> Reset All Settings”. There are three ways to recover lost iCloud account password, and these vary based on the type of security you chose while creating the iCloud account. Here, we will discuss how to reset iCloud password when you chose Two-factor authentication, Two-step verification, or email, password and security question. The two-factor authentication allows you to reset your iCloud password from another iOS device or Mac with a password or passcode that’s enabled. Step 1. Go to your Device’s Settings app. Step 2. Tap “Your Name > Password & Security > Change Password”. Step 3. Follow the onscreen instructions to recover your password. 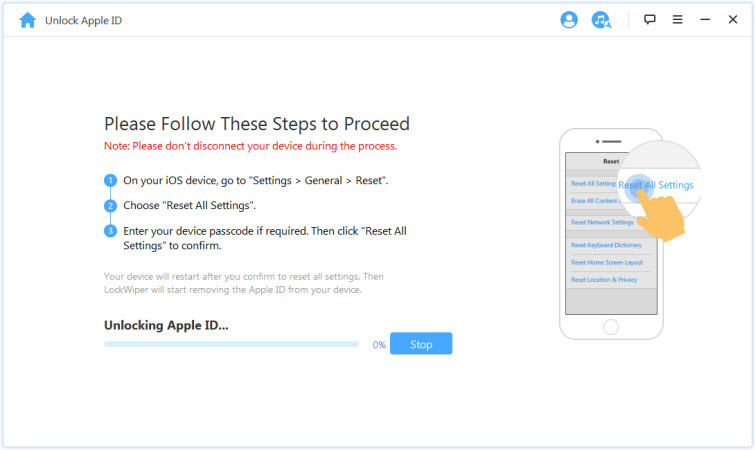 The two-step verification is the most complex of all the Apple ID password recovery process. This process requires you to provide the recovery key and a verification code. Step 1. Proceed to Apple ID account page on your browser, and click “Forgot Apple ID or Password”. Step 2. Enter your Apple ID and select the options “Reset Password > Continue”. Step 3. Enter your recovery key for two-step verification (this is the key provided when you enabled two-step verification). Step 4. Choose a device where we can send a verification code. Step 5. Enter the verification code, and create the new password. Step 6. Tap “Reset Password” to complete the process. This process will verify you using your email or answers to the security questions you provided while creating the account. Step 2. Enter your Apple ID, and select the options “Reset Password > Continue”. If you chose “Answer Security Questions”, then provide the answers and proceed to the next step. If you chose “Get Email”, then proceed to your primary rescue email address, and follow up from there with the email sent to you to recover your password. Step 4. Create a new password and confirm the password. All these solutions are good when you lost iCloud password but LockWiper is the best solution because of its numerous benefits. Therefore, choose LockWiper today to start recovery your iCloud and iPhone/iPad passwords.